If you’re a business that can move into the visual spectrum of social media, then you need to be proactive and fast. Visual social media sites like Pinterest are taking off in big ways, and you have the opportunity to be on the ground floor of a new social movement – so are you in? Take advantage of the Pinterest feature that lets you see what content other users post that people love. When you type in the URL pinterest.com/source/www. [yourchosensite].com and replace the bracketed portion with the site URL, you have instant access to hot content you can use. Want to pin an Instagram photo with no hassle? Open your Instagram and find the photo you want to share. When you tap the … button to pull up your menu options, hit Copy Share URL. When you open your Pinterest app again, simply paste the link into the pop up and you’re good to go! With the app LoveList, it’s easy to pin items you see in real life by using the app to scan the product’s barcode. You scan the barcode, the item pops up and you’re given a direct prompt to pin the product to your account. Installing the Pinterest browser extension is a cool idea, but the pop up Pin It buttons can be annoying on every photo you see. In your browser extensions, simply go to the options for Pinterest and ask it to hid the hovering buttons. When you use Pinterest on an Android device, you can save a “place pin” that notifies you of cool places and restaurants you’ve pinned on Pinterest. Want to know the best images dimensions for Pinterest? For a 2:3 ratio, use 600 x 900 pixels. For a 1:3.5 ratio, use 600 x 2,100 pixels. For more image dimension success info, we’ve got the specs for your profile images. If you want to use profile images that aren’t super grainy and resized, we recommend using a 149 x 149 pixel image for your profile picture, a 222 x 150 pixel image for your board cover and a 235 pixel wide image for your pin in the feed. If you want to know an easy way to create inspirational text quotes that people eat up on Pinterest, simply use the site Canva. You can create text-based images that people will be dying to pin. After installing the Google Chrome extension Pin Search, it’s possible to find the source of an unlinked Pinterest image using a Google Image Search that’s easier to use than manually saving and uploading the image directly to the search engine. iPhone users with iOS 8 or newer can pin right from their share button on their mobile devices – and they don’t have to leave Safari or Chrome. All you have to do is tap the Share button and swipe left to tap More. In the Activities menu, just turn on Pinterest and select done. Pinterest isn’t known for having a great search system, but it’s something you can get used to with the right tips. First search using generic keywords, then use the Guided Search feature to narrow things down and explore Pinterest simultaneously. Some iPhone users have reported a low storage problem after using it. Instead of deleting the app, simply clear your app’s browsing history. Pinterest is a very image heavy app that eats up cached data space, so clear it out regularly. Users interested in using it as a gift guide or testing out images they want to post can take advantage of secret boards. When you create a board you want to stay hidden, simply flip the “Keep it secret?” Option. Tired of ad pins and “picked for you” pins? The way around them is simple. If you hover over the brand name of the pin you don’t want to see, you’ll be given a prompt that asks if you want to hide the pin. Select it and no more ads! While you probably won’t be doing this as a business, it is possible to hide your pins and boards from Google search results’ watchful eye. Go to your profile account settings and switch off the “Search privacy” option. If you want to share your Pinterest on other sites, simply follow this link to get a cool widget to show off on other social or blogging platforms you currently operate. 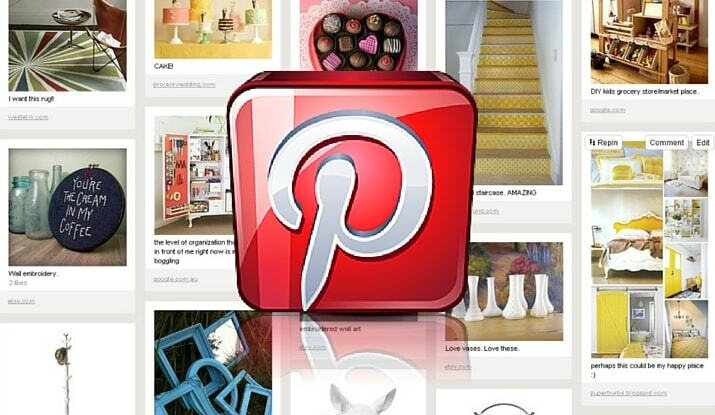 This can get you more Pinterest followers and increase business visibility. When using the buyable pin feature (a feature that lets users buy the items they see on Pinterest via a service like Apple Pay), you have immediate access to purchasing the products you see on Pinterest, so there won’t be any more frantic product searching for iOS users. Using a service like eClincher allows users to schedule their pins. When you schedule your pins, you make sure you aren’t going pin-crazy and clogging up the feeds of your followers. Lastly, just have fun with it. It isn’t fully streamlined for business use yet, but it’s still a fun social site for you to test the waters on. Try it out, see if you like it, and test out business strategies while its in its early stages.